One of my favorite things to do is to "search out" vintage linen treasures. They seem to come to me from all kinds of places, even some special ones have come from my sisters in Australia. I love nothing more than to find a gently used doily or such that someone has embroidered. 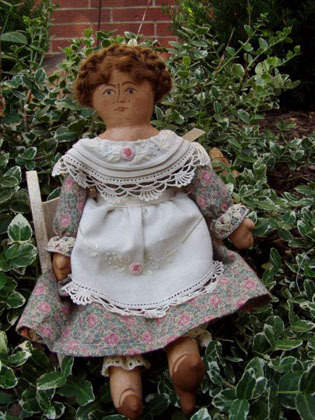 I feel a deep connection with these people as I give the linens and laces a new life on my dolls, even the tiniest piece can be used. Just thinking about the families that have used some of these pieces and whose lives they have touched is a wonder to me. Because each piece is unique most of my dolls are one-of-a-kind. 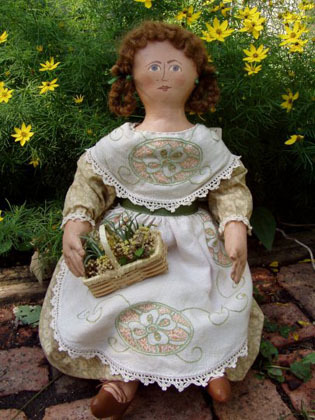 Sometimes I can replicate a doll so please browse my "Gallery" or "Custom Orders" if you would like to see past treasures. 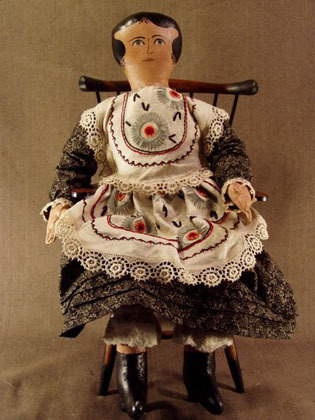 Each of the dolls is created in the same manner. I sew, stuff then paint the details of each one. Then comes the fun part of dressing them. 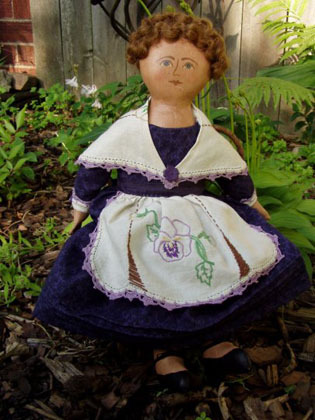 Please email me if you would like to see more detailed pictures of a specific doll.